shackspace member [@dop3j0e] found himself in a real bind when trying to recover some data after his ThinkPad’s fingerprint scanner died. You see, he stored his hard drive password in the scanner, and over time completely forgot what it was. Once the scanner stopped working, he had no way to get at his data. He brainstormed, trying to figure out the best way to recover his data. He considered reverse engineering the BIOS, which was an interesting exercise, but it did not yield any password data. He also thought about swapping the hard drive’s logic board with that of a similar drive, but it turns out that the password is stored on the platters, not the PCB. With his options quickly running out, he turned to a piece of open-source hardware we’ve covered here in the past, the OpenBench Logic Sniffer. The IDE bus contains 16 data pins, and lucky for [@dop3j0e] the OpenBench has 16 5v pins as well – a perfect match. He wired the sniffer up to the laptop and booted the computer, watching SUMP for the unlock command to be issued. Sure enough he captured the password with ease, after which he unlocked and permanently removed it using hdparm. Be sure to check out [@dop3j0e’s] presentation on the subject if you are interested in learning more about how the recovery was done. A coworker approached us today with a corrupted SD card. It was out of her digital camera, and when plugged in, it wasn’t recognized. This looked like the perfect opportunity to try out [Christophe Grenier]’s PhotoRec. PhotoRec is designed to recover lost files from many different types of storage media. We used it from the command line on OSX, but it works on many different platforms. It’s a fairly simple program to use. We plugged in the card and launched PhotoRec. We were prompted to select which volume we wanted to recover. We selected “Intel” as the partition table. PhotoRec didn’t find any partitions, so we opted to search the “Whole disk”. We kept the default filetypes. It then asked for filesystem type where we chose “Other” because flash is formatted FAT by default. We then chose a directory for the recovered files and started the process. PhotoRec scans the entire disk looking for known file headers. It uses these to find the lost image data. The 1GB card took approximately 15 minutes to scan and recovered all photos. This is really a great piece of free software, but hopefully you’ll never have to use it. In your zeal to delete your data, you may have accidentally deleted files that you wanted to keep. 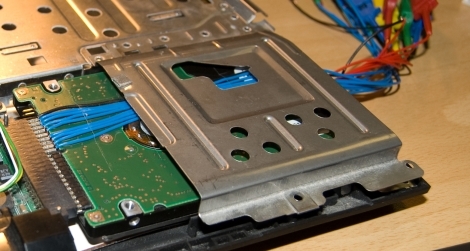 Lifehacker has posted this handy list of data recovery tools to help you get those files back. As you may know, whenever you delete a file, the only thing that changes is the file system. The data of the deleted file is still on the hard drive, but the file system sees the space containing the file as “blank” writable space. Data recovery software typically looks into the directory where the file was stored and scans it, finding any files not listed in the file system. The program you choose for this task will not only be determined by your OS, but also by the specifics of your recovery needs. Do you need to recover a single file? Many files? A whole hard drive? An unbootable drive? A really scratched optical disk? Specialized tools for all of these needs are available, and this article will help you find the right program for yours.